Mr. Gökşin Ilıcalı – Founder and managing partner of argos in Cappadocia, Argos Vineyards, Argos arts and culture. 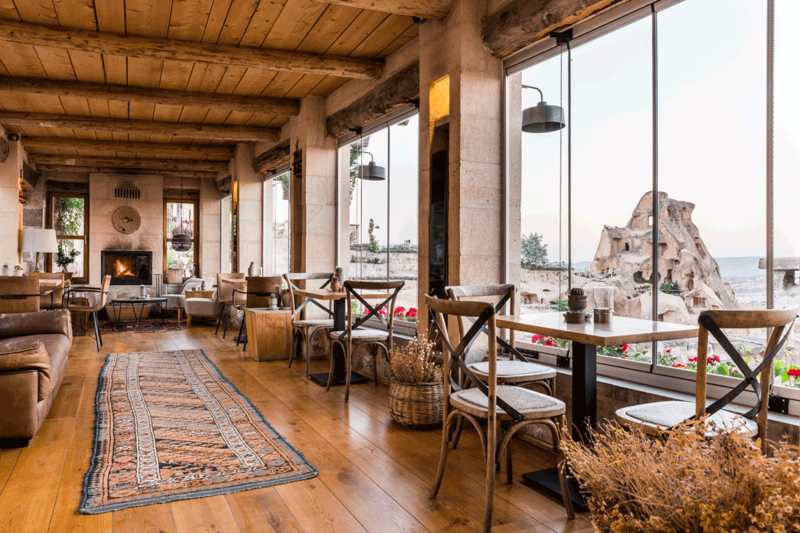 Argos in Cappadocia is the result of a labor of love 18 years in the making and now a world-class hotel that exceeds the expectations of the most sophisticated of international travelers. Perched high above the village of Uchisar, a ten minute walk away, the hotel is perfectly located for the exploration of all of Cappadocia’s. A mysterious, even unearthly expanse of ravines, canyons, mountains and valleys, it was formed by millions of years of soft volcanic lava and ash. It began with the vision of turning a complex of ancient dwellings into a world-class luxury hotel. 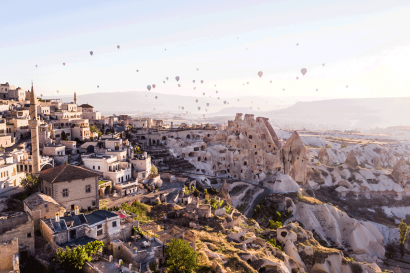 The dream was enhanced with the discovery of the ruins of Bezirhane, a 1500-year old rock-hewn monastery and later hostel for camel caravans on the legendary Silk Road. 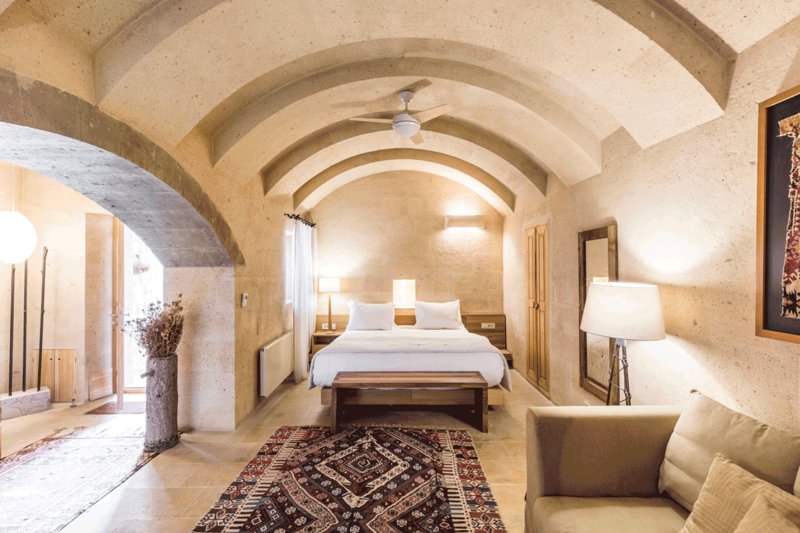 Finally, the argos in Cappadocia opened its doors as an elegant masterpiece – a highly imaginative boutique hotel and concert hall that reinterprets the rich traditions of the past for today’s discerning travelers in breathtaking fashion. The hotel’s accommodations are offered in several styles, from stone rooms to Splendid Suites with private in-suite swimming pool. The rooms uniquely situated in seven restored “mansions” connected by underground tunnels and pay tribute, in design, to the region’s ancient underground architecture. Seki Restaurant and Seki Lounge was renewed in 2012. Designer and architect name is Aslı Ozbay. The hotel is located high above the village of Uchisar, in a fairy tale land and the heart of Cappadocia in central Turkey. 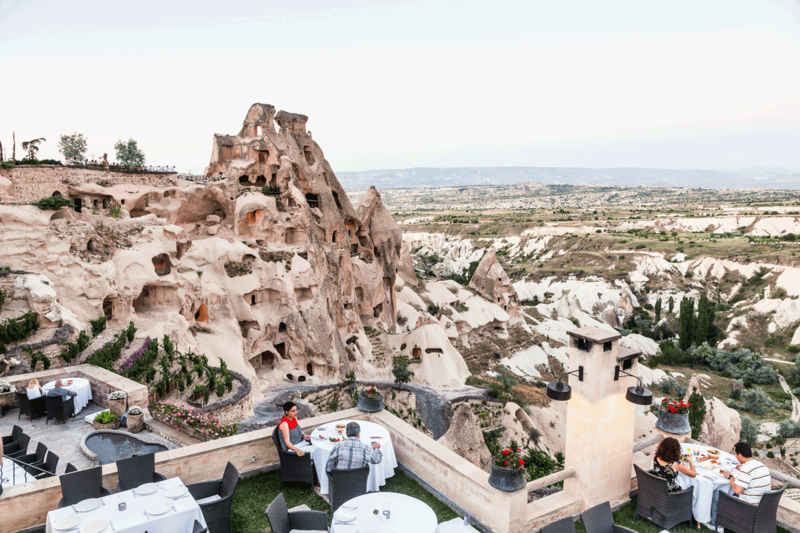 Cappadocia, an exceptional natural wonder, is characterized by fairy chimneys and a unique history and cultural heritage which adds to the uniqueness of this boutique hotel. 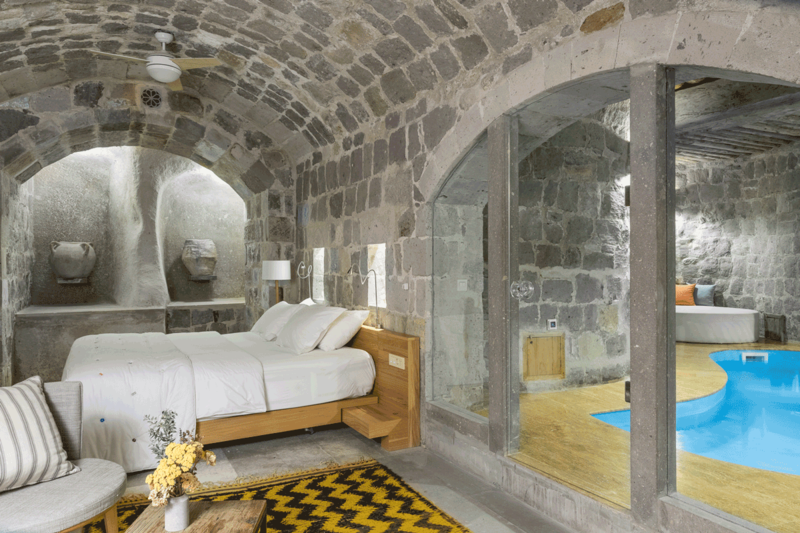 Argos in Cappadocia offers 51 guest rooms and suites in seven different “mansions” and each accommodation uniquely designed and furnished with antique rugs and distinctive decorative pieces from the region. The Monastery Mansion has one stone rooms, three deluxe rooms and four suites. 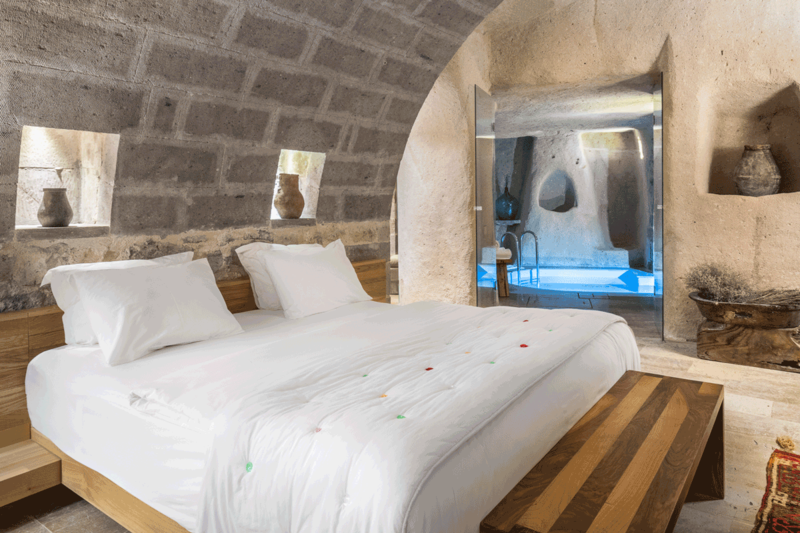 The Tunnel Mansion has five stone rooms, one deluxe room, three suites a deluxe-to-splendid connecting and one Splendid Suite with private pool. 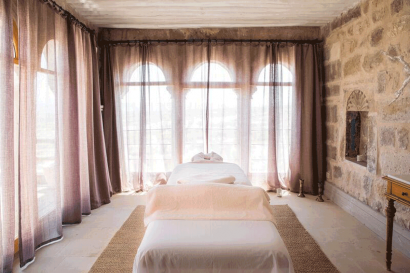 The Vasil Mansion offers one stone room, five deluxe rooms, deluxe-to-deluxe connecting, and four suites. 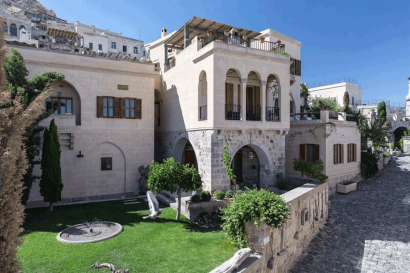 The Gemil Mansion includes two stone rooms and three Splendid Suites. The White Mansion has one stone and four deluxe rooms. The Tıraz Mansion has five stone, four deluxe, a deluxe-to-suite connecting and two suite rooms. The Kavak Mansion has two suites, a deluxe room and a private outdoor swimming pool. • Stone rooms (170 – 258 square feet) offer fireplaces, air conditioning, I-pods and valley view options. It is ideal for couples and single. 15 Stone rooms. • Deluxe rooms (290- 570 square feet) offer fireplaces, air conditioning, I-pods and valley view options. 17 Deluxe rooms. 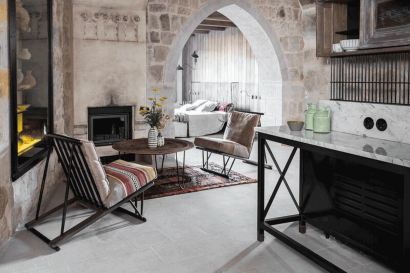 • Suites (460- 785 square feet) offer a terrace,air conditioning, balcony or garden courtyard options, I-pods, coffee machines and separate living areas. 15 Suite rooms. 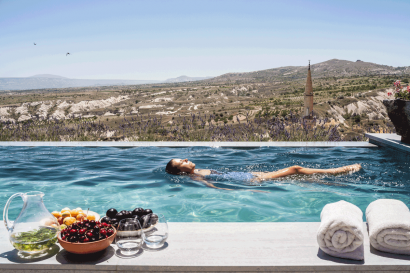 • Splendid Suites (up to 1.000 square feet) feature private in-suite pools,air conditioning, magnificent views, accommodations carved into living rocks, terraces, separate living areas on multiple levels, even sitting niches that open onto public courtyards, I-pods and coffee machines. 4 Splendid Suite rooms. feet. 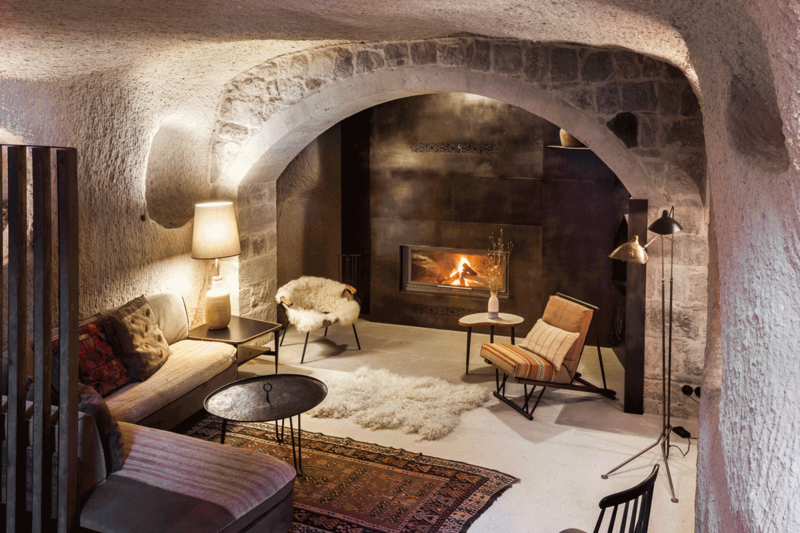 During the summer months, gentle breezes offer respite from the heat on the outdoor terrace, while in the colder months a crackling fire makes for a cozy indoor retreat. Deep inside the caves of argos in Cappadocia, SEKI’s cellar houses select wines and sweet wines from a variety of producers throughout Turkey along with world-class wines that reflect the character of Cappadocia, including varieties made from the hotel’s own Syrah. At SEKI’s cellar, you will find a majority of the best wines from the Anatolian region, attend wine tastings and get detailed information on Anatolian winemaking and Turkish winemakers. 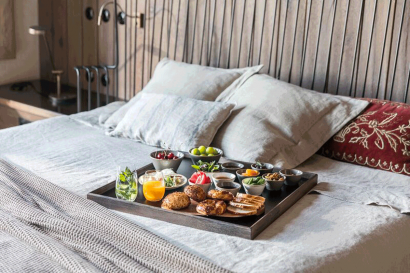 Moreover, guests will be able to sense the aura of the mystical atmosphere of the cellar that has been the resting place of Anatolian wines that date back thousands of years. • Bezirhane: The Bezirhane concert hall, initially part of an ancient monastery and later a linseed oil factory, has two connected halls with natural domes, large fireplaces, and superb acoustics. The facility, like no other venue in the world, is over 26 feet high with giant stone walls and pillars, It can accommodate 80 for sit-down meals, 120 theater style and up to 200 for receptions. This is an ideal venue for corporate meetings and incentive programs, catered special events, weddings and other occasions.